Go Hyun-jung has left SBS drama "Return". Despite the fact that the leading actress has quit, the drama's steady ratings climb continues with 14.4% and 17.4%. "Return" started last month with 6.7% and has been on the rise ever since. It's thriller about four wealthy people who are involved with the death of a woman. The story is stimulating and quick, with the excellent performances of the cast drawing even more attention. However, Go Hyun-jung has had conflict with the production and in the end, she left the set after a big argument with the director. A rumor describes the fact that she maybe had hit him. In the end, SBS has decided to replace Go Hyun-jung. 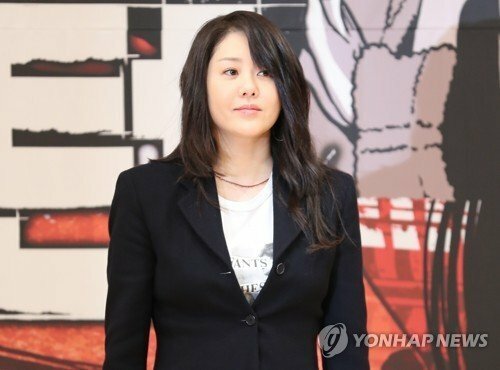 News released early morning on the 8th that Go Hyun-jung will be stepping down from the drama. There has been cases where an actor or actress quits a drama due to injuries or sickness, but it is unusual for and actor to quit because of internal conflict with the production. [Spoiler] "Return" Is Oh Dae-hwan the Culprit?